Out in the vineyard, with most of the tough vineyard work well behind us now, we are starting to pick the first Chardonnay, Sauvignon Blanc and Semillon for the 2013 vintage. Harvesting of fruit is determined on the analysis results for Baume (sugar), acidity/pH relationship and most importantly; the flavour and balance of the juice. 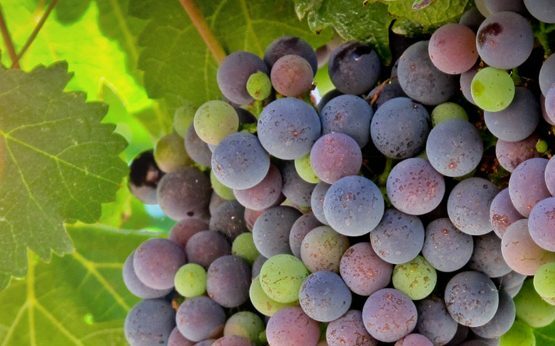 Plenty of grapes tasted in the vineyard and juice sampling at the winery determines the winemaker’s decision to harvest and then the resulting style of wine produced. I once worked out that the sugar content of grapes and juice sampled in a day by a viticulturist in a medium sized Margaret River winery could be the equivalent of 2 glasses of neat cordial, such is the dedication that we provide to ensure wine quality (I have yet to work out how to sample and spit grape juice…. It’s almost that it needs to be swallowed to be savored). The 2013 vintage is a little different in that there is more acidity and lower pH in the fruit being harvested than what could be normally expected and we are much more aware of the need to make sure that the balance of sugar, fruit flavours and acidity is maintained. The reason that we are having this positive acid attribute is a result of variation in flowering timing on bunches resulting in some smaller berries being present in our samples. These smaller berries are less developed and contribute to higher acidity levels. Having higher acids is beneficial from the viewpoint that additional acid does not need to be added to the wine…. It’s just natural, and how we like it in MargaretRiver! 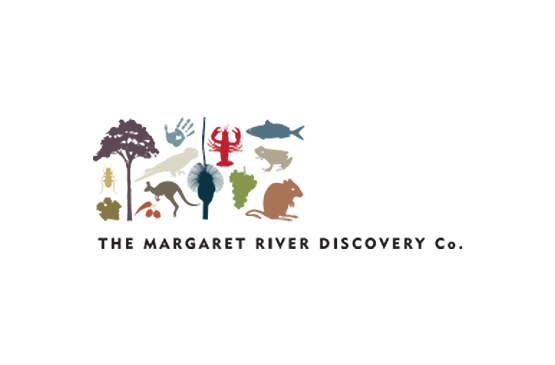 Interesting to note also is that Margaret River has had the renowned warm days (sometimes up to maximum 38 Celsius) and then quite cool nights (down to 12 degrees) and this has helped with preserving acidity, while still increasing sugars and fruit flavour attributes. This difference in diurnal temperatures is very special and typically results in wines full of flavour and retaining natural balance. The cool night time temperatures reduce evapotranspiration losses. Evapotranspiration is the function the plant does to move sap and water through the vine to help maintain leaf health and coolness and this loss through stems and leaves requires an energy source. Of course during the daylight hours, photosynthesis produces the energy to maintain the vascular flow in the plant….but at night time the plant uses up reserves, of which malic acid is a major contributor, and the result is generally a reduction in natural berry acidity. *Hot nights result in lower berry acidity, thank goodness for cool nights in Margaret River. The cool nights we have been experiencing recently are also beneficial for our night time harvesting operations and a relief for winemaking teams. Out in the vineyard at 3am harvesting Chardonnay and the chill has set in and the need for a jumper increases as the machine harvesting operation continues through to early morning. The fruit is delivered to the winery at 7am and at a temperature of around 15 degrees Celsius. The coolness of the fruit reduces the potential for oxidization of the juice as it is crushed and pressed, retaining the delicate aroma and flavour compounds through fermentation and into the bottle. The delivery of cool white grapes to the winery results in happy winemakers, accountants and owners, as not only is the quality of wine enhanced but also the energy required in cooling juices to allow cold settling prior to fermentation is curtailed and the cost saving for electricity consumption is achieved. 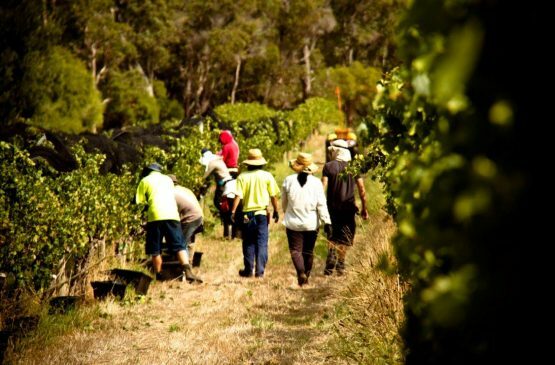 Of course, the whole planet benefits from this reduction in energy consumption and it’s another great reason to be growing grapes in our fantastic Margaret River wine region.